Digitalbarton.com Blog - John Barton - Founding partner of Testify Digital : WATCH THE THRONE 'DIGITAL' PRE RELEASE SET TO REVOLUTIONISE THE FIGHT AGAINST LEAKS? WATCH THE THRONE 'DIGITAL' PRE RELEASE SET TO REVOLUTIONISE THE FIGHT AGAINST LEAKS? 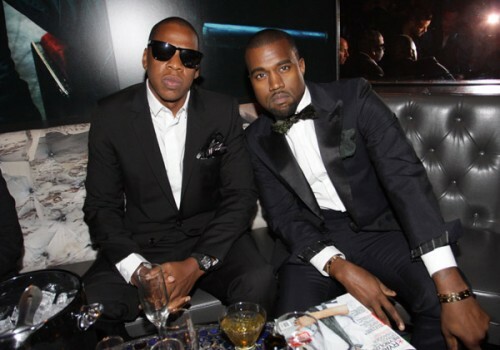 On Monday the 8th the collaboration between Jay-Z and Kanye West: Watch The Throne is set to be released on ITunes. I will be watching with great interest as the artists have received heavy criticism from from label bosses for the strategy which sees WTT released in a digital version prior to the hard copy. Jay-Z is said to be using this as an experiment to combat bootlegging. He believes bands are open to bootlegging: "...as soon as it [the CD] is on the truck". I noticed that fans are going crazy on Twitter today. Not because they're looking fwd to WTT. But because they cant find a leak! Looking forward to the outcome of the experiment. Its certainly brave (for a high profile release) but if higher profits are reported, surely others will follow into the main stream? I like that they (or the label) are prepared to subvert the norm in terms of release strategy, however I don't see that this will defeat bootlegging. Surely it'll just be uploaded to illegal download sites/burnt to CD the second it hits the web either way? I think the best tactic to combat bootlegging is to put a release out the second it hits the radio/is announced by the label: so often I've downloaded illegally because I'm not prepared to wait months for an official release, when a copy is usually only a few clicks away. Having that availability and immediacy goes someway to deterring a sizable portion of illegal down-loaders, I reckon. Should be a good album tho!